On this week’s episode ‘Mick Swagger’ talks to ‘Jumpy McGee’, aka April Fournier, Co founder of Team Indigenous, coach at Maine Roller Derby, Board of Directors for Maine Roller Derby and member of the World Flat Track Derby Association (WFTDA) Advisory Committee. They discuss the formation of Team Indigenous, how Team Indigenous members are all working on this in various ways, the role of the WFTDA and what has emerged from it. They also review language and terms that are offensive including Erica Vanstone aka Double H, reference to Trail of Tears. 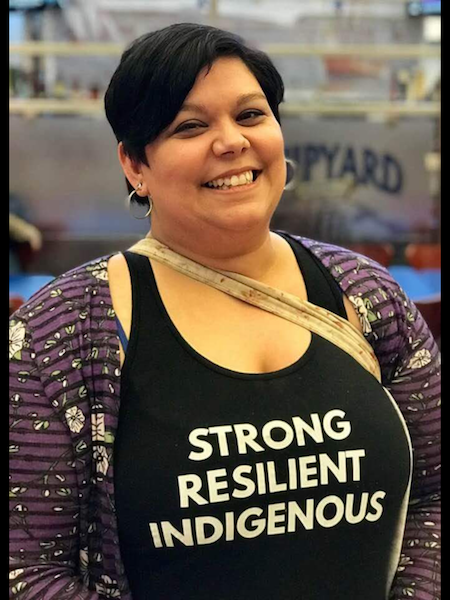 ‘Jumpy’ shares the political activism and advocacy work that she is doing in her community in regards to the Mascot issue.